Connecticut’s acute-care hospitals ended the last fiscal year in slightly better financial health than in the prior year, with just five of 30 hospitals reporting losses, according to a new state report. Data filed with the state Office of Health Care Access (OHCA) shows that six hospitals had operating losses in the 2012 fiscal year – the same number as in 2011, but fewer than in 2010. When non-operating gains and losses are included, five hospitals had negative total margins, or deficits – down from eight in 2011. The annual OHCA report paints a positive picture of the overall financial health of hospitals, highlighting that Connecticut’s hospitals had a total gain from operations of about $513 million in the last fiscal year – a substantial increase, of close to 70 percent, over the prior year. Total hospital net assets also increased. The report credits “improvement in (hospitals’) financial operational performance” and a rebound in investment income, tied to the economy, for the positive changes. But the new data also shows that several smaller hospitals are struggling. 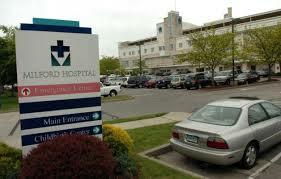 Milford, New Milford, Windham and Griffin hospitals all ended the year with deficits. The fifth hospital in that group was Saint Francis Hospital & Medical Center in Hartford. OHCA said Milford Hospital was of “particular concern” because it had reported a deficit in each of the last five years. A spokeswoman for Milford Hospital was not available for comment Thursday, but the report shows that Milford was among seven hospitals, including New Milford and Griffin, that saw their inpatient volume drop by more than 5 percent in 2012. Milford’s discharges fell from 4,374 in 2011 to 3,580 last year, an 18 percent drop. Twelve hospitals had declines in patient volume of less than 5 percent, while the remaining nine reported increases in patient volume, including Yale-New Haven and Connecticut Children’s Medical Center. Stephen Frayne, senior vice president for health policy for the Connecticut Hospital Association, said 2012 was “a decent year” for most hospitals, but added, “There are a lot of things that are undermining that improvement” in 2013. He cited a 2-percent cut to Medicare funding, as well as reductions in state payments to hospitals under a new tax-and-reimburse formula. State officials, noting that most hospitals are in good financial health, have said that hospitals will be helped by expanded Medicaid enrollment and insurance coverage stemming from federal health care reform. Hospitals ending the 2012 fiscal year with the largest margin of operating gains included St. Vincent’s Medical Center in Bridgeport, which cleared $63.8 million; MidState Medical Center in Meriden, which cleared $24.9 million; and Stamford Hospital, with a $47 million operating surplus. 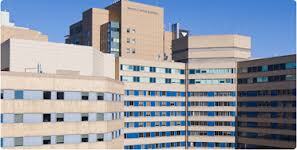 Yale-New Haven Hospital ended the year with the highest dollar amount gain from operations: $106.6 million. Generally, hospitals that were part of larger health care networks, created by mergers and takeovers, fared about the same financially as freestanding facilities. Of the 13 hospitals that were part of larger health care networks, two, or 15 percent, ended the year with deficits, when non-operating revenue was included. Of the 17 individual hospitals, three, or 18 percent, ended the year in the red. Despite efforts to reduce reliance on emergency departments for care, statewide emergency room visits increased at a higher rate in 2012 than the previous year, climbing 3.2 percent. The hospitals with the highest emergency department volume were Yale, Hartford, the Hospital of Central Connecticut, Middlesex, MidState Medical Center and Lawrence & Memorial, all located in urban areas. Some health care experts expect that the federal Affordable Care Act, or Obamacare, will reduce emergency room visits by linking newly insured residents with community providers. But others say the insurance expansion could generate more traffic to emergency rooms by newly insured people who can’t access primary care providers. Frayne said there was no single reason why some smaller hospitals may be struggling. “All of the hospitals are confronting the same issues, but how they’re dealing with them is up to each institution,” he said. The hospital association has criticized the state for changing its funding formula, in the face of Medicare cuts and flat Medicaid payments. In the 2013 fiscal year, hospitals paid about $350 million in state taxes and received back about $323 million – down from $400 million that used to be redistributed. This fiscal year, they are expecting to receive back only about $214 million, Frayne said. In recent testimony to the legislature’s public health committee, James Iacobellis, the hospital association’s senior vice president for government and regulatory affairs, said reductions in Medicare and state funding “negatively impact the financial stability of hospitals and thus their ability to access capital” to make needed upgrades. The 2012 report shows that hospitals added 968 full-time jobs statewide during the fiscal year, with a total workforce of more than 54,000. Ten hospitals reduced their workforce during the year, with the largest percentage decreases at Waterbury, Greenwich, New Milford and Rockville hospitals.